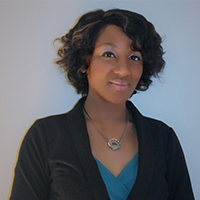 Romiya Glover Barry is a clinical research professional in the medical device field where she leverages her experience in product development, clinical marketing, trial operations, and regulatory affairs. She has provided oversight to several international, multi-center, observational and comparative studies. Her research collaborations focus on the investigation and design of solutions to enhance the quality of clinical program management. Additionally, she volunteers with several organizations focused on research translation initiatives. Ms. Barry has a BS in Biology & Biotechnology from Worcester Polytechnic Institute, an MS in Clinical Investigation from the Massachusetts General Hospital Institute of Health Professions, and doctoral training as a translational health scientist from The George Washington University.